The Nick Denton-founded media company struck a deal this week to be bought by Univision amid long-running legal disputes with billionaire Trump supporter Peter Thiel - the fate of its flagship publication, Gawker.com, remains unknown. 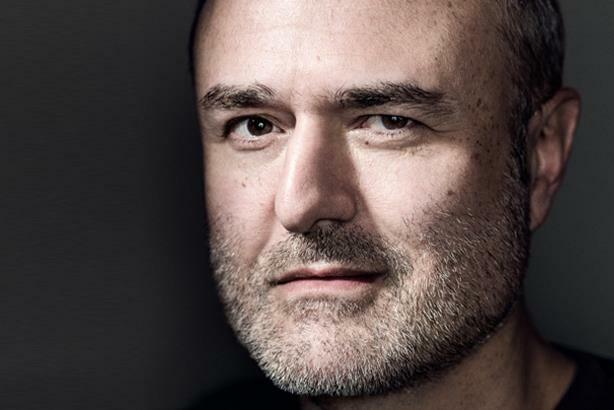 Nick Denton once argued Gawker Media was worth as much as a quarter million dollars. NEW YORK: Univision is snapping up Gawker for $135 million following a bidding process that concluded Tuesday evening, potentially adding all seven of its brands to a portfolio that already includes Fusion, The Onion, and The Root. Apart from its flagship Gawker.com website, Nick Denton's company also operates Deadspin, Gizmodo, Jalopnik, Jezebel, Kotaku, and Lifehacker. But according to PR pros operating in the tech space who spoke to PRWeek, the jury is still out on whether the irreverent brand will be able to retain its character, or even if Gawker.com will continue to operate, under a Univision umbrella that would link it to Fusion, a network it openly mocked in the past. "Univision has to recognize [Gawker's edginess and editorial freedom] is an essential ingredient to bringing in the demographic they’re seeking," says Peter Himler, founding principal of Flatiron Communications, who previously served as chief media officer for Edelman worldwide and headed Burson-Marsteller’s U.S. corporate and strategic media team. "It would be unwise to demand Gawker tone it down," he adds. "On the other hand, it doesn’t want to be the object of a liability suit. It will likely put on some restraints, but it won’t want to mess too much with the content." Demographic reach was one thing Gawker founder Nick Denton focused on in a statement to media outlets regarding the deal, saying Univision is "rapidly assembling the leading digital media group for millennial and multicultural audiences." Attempts to contact Denton were unsuccessful as of press time. One concern surrounding the deal is the possibility some stories Gawker broke, including Toronto’s crack-smoking mayor, Rob Ford, and Manti Te’o’s phony girlfriend, won't fit with the corporate environment at Univision, which is eyeing an IPO. Similar concerns were raised recently when Verizon bought AOL, which meant the mobile carrier also absorbed Tech Crunch and Huffington Post. Himler says Tech Crunch may still break news, but it likely doesn’t have the same cache it used to have. "I don’t see it as the same company," he says. "The biggest challenge for Gawker will be to keep its edginess." For Univision, the deal diversifies its distribution channels and deepens its reach with younger audiences, as well as the tech market in Silicon Valley, according to David Landis, CEO of Landis Communications, a San Francisco-based PR shop. "They got a good deal," Landis says. "It will diversify distribution of Univision’s channels so it can continue to grow into different sectors that are complementary. They’re principally known as a Hispanic-oriented media company and this changes the face of that brand." The fact legacy media is buying up new media is evidence the financial model works, Landis adds. As a "well-run and well-respected" company, he speculates Univision will likely allow Gawker to continue on as it is. "[With M&A], you hope for the best and you don’t really know until you’re in the thick of it if the culture is going to work," he adds. "I’m always a big proponent of: don’t make huge changes you’ll regret later." Traffic numbers to Gawker’s sites have been in flux, especially after a drastic redesign, creating confusion among media critics as to whether the company has the reach it claims. "Is any of [Gawker’s target audience] going to change because of Univision’s ownership?" asks Landis. "Probably not short term, maybe in the long term. My advice would be to stay the course for now. One of the first things I would do, would be to clarify their numbers and who their audience is." Another key message in Denton’s statement pivoted around the litigation mounted against Gawker by billionaire Peter Thiel, who made his fortune as a co-founder of PayPal. "I'm pleased our employees are protected and will continue their work under new ownership — disentangled from the legal campaign against the company," Denton writes. "We could not have picked an acquirer more devoted to vibrant journalism." Thiel’s underground campaign against Gawker began after the media company outed him as gay and has polarized the public since he unveiled his secret role in proxy lawsuits, such as Hulk Hogan’s, the verdict of which is being appealed. The Wall Street Journal reported: "Proceeds from the sale will be used to pay Gawker’s creditors, finance further litigation costs, and cover whatever damages may ultimately be leveled following appeals." For some, including Jeff Bezos, who bought The Washington Post in 2013, the lawsuit rang alarm bells that the freedom of the press was under siege, despite their disagreement with Gawker’s editorial practices. Others cheered Gawker’s ignominious demise. "It’s not right they outed him, but he [Thiel] took it too far," Himler says. "He put them out of business. A lot of people saw that and thought it was nasty."